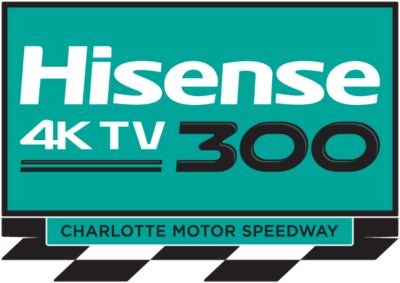 Starting from 3rd place Car 12 Ryan Blaney Snap-On Ford won the 36th Annual Hisense 4K TV 300, his 5th win in 56 NASCAR XFINITY Series races. This is his 1st win & 5th Top 10 finish in 2017. This is his 1st win & 3rd Top 10 finish in 5 races at Charlotte Motor Speedway. 2nd Place Car 41 Kevin Harvick Hunt Brothers Pizza Ford, started from 5th place posted his 18th Top 10 finish in 28 races at Charlotte Motor Speedway. It is his 3rd Top 10 finish in 2017. 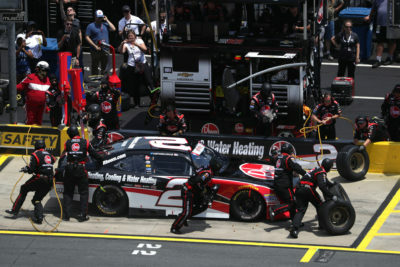 3rd Place Car 2 Austin Dillon Rheem Chevrolet, started from 2nd place posted his sixth top-10 finish in nine races at Charlotte Motor Speedway. started from 11th place followed by 9th place Car 62 Brendan Gaughan South Point Hotel & Casino Chevrolet, started from 17th place. Lastly in the Top 10 was Car 42 Tyler Reddick BBR/Jason Aldean Chevrolet in 10th place, started from 10th place. Elliott Sadler leads the point standings by 6 points over Justin Allgaier. The race had 12 Cautions for 52 Laps: 1st Caution on lap 4 for Car 18 Christopher Bell SiriusXM Toyota, Car 16 Ryan Reed Lilly Diabetes Ford Crash on the Frontstretch. 2nd Caution on lap 18 for Car 24 Cale Conley Merchant Services Ltd. Toyota Spin Turn 4. 3rd Caution on lap 22 for Car 40 Carl Long Dodge Crash in Turn 1. 4th Caution on lap 47 for Stage 1 Conclusion. 5th Caution on lap 92 for Stage 2 Conclusion. 6th Caution on lap 105 for Car 23 Spencer Gallagher # Allegiant Airlines Chevrolet Spin Turn 2. 7th Caution on lap 125 for Car 33 Brandon Jones Wood Ducks Baseball Chevrolet Spin Turn 2. 8th Caution on lap 160 for Car 48 Brennan Poole DC Solar Chevrolet, Car 20 Denny Hamlin Hisense Toyota Crash in Turn 4. 9th Caution on lap 172 for Car 62 Brendan Gaughan South Point Hotel & Casino Chevrolet Crash in Turn 4. 10th Caution on lap 177 for Car 5 Michael Annett Pilot Flying J Chevrolet Crash in Turn 4. 11th Caution on lap 182 for Car 1 Elliott Sadler Armour Vienna Sausage 150 Years Chevrolet Crash in Turn 4. 12th Caution on lap 195 for Car 6 Darrell Wallace Jr. Globe Life Ford Spin Turn 2. 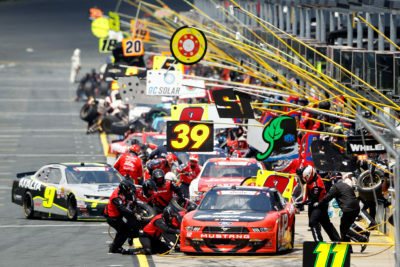 The race had 12 Lead Changes among 7 drivers: J. Allgaier 1-7; K. Harvick(i) 8-47; D. Hamlin(i) 48; B. McLeod 49; D. Hamlin(i) 50-52; R. Blaney(i) 53-108; D. Wallace Jr. 109-111; R. Blaney(i) 112-129; K. Harvick(i) 130; R. Blaney(i) 131-160; A. Dillon(i) 161-180; K. Harvick(i) 181-197; R. Blaney(i) 198-200. 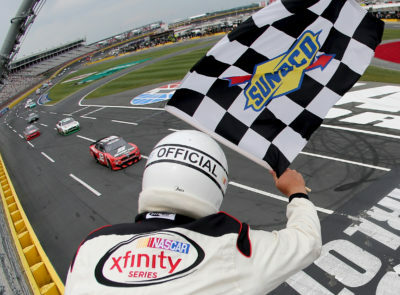 Ryan Blaney (05/27/2017) and his father, Dave Blaney (10/13/2006), become the first father-son combo to win a NASCAR XFINITY Series race at Charlotte Motor Speedway. 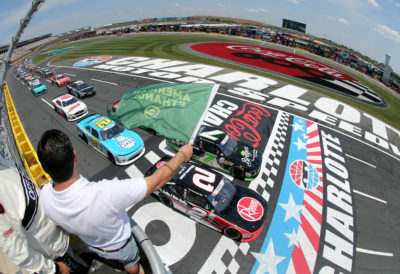 A total of six father and son duos have won in the NASCAR XFINITY Series – Dave Blaney and Ryan Blaney, Dale Earnhardt and Dale Earnhardt Jr., Bill Elliott and Chase Elliott, Bobby Hamilton and Bobby Hamilton Jr., Terry Labonte and Justin Labonte, David Pearson and Larry Pearson. 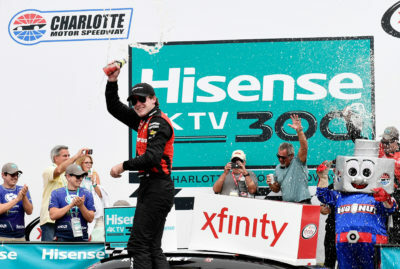 Ryan Blaney’s win is the second victory for Team Penske in the NASCAR XFINITY Series this season. The first win came at Las Vegas with driver Joey Logano earlier this season. 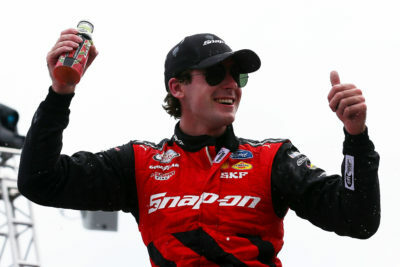 Ryan Blaney won the race with a Margin of Victory: 0.244 Seconds over Kevin Harvick. 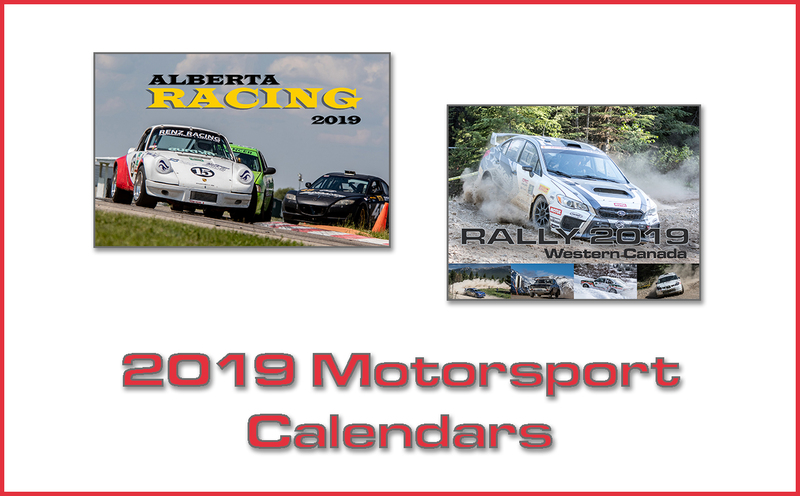 Race Comments: Before the start of the event, the following cars will drop to the rear of the field under penalty for the reason indicated: Nos. 12 and 40 (unapproved adjustments). Failed to Qualify: (2) 78 Jeff Green, 74 Jordan Anderson(i). Time of Race: 02 Hrs, 38 Mins, 17 Secs. Average Speed: 113.720 MPH. Margin of Victory: 0.244 Seconds. Caution Flags: 12 for 52 laps. Lead Changes: 12 among 7 drivers. Coors Light Pole Award : Justin Allgaier, #7 182.488 mph. Duralast Brakes “Brake in the Race”: Justin Allgaier, #7. Mahle Clevite Engine Builder of the Race: Roush Yates Engines, #12. Mobil 1 Driver of the Race: Kevin Harvick, #41. Sunoco Rookie of the Race: Cole Custer, #00.